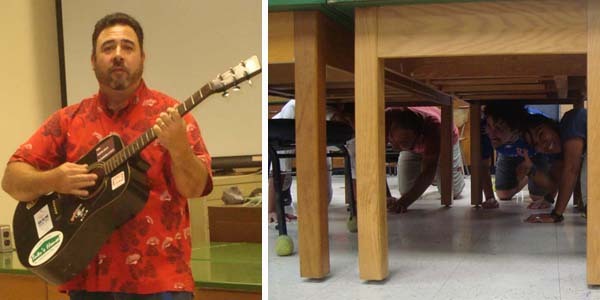 The 2016 International Course was a tremendous success! 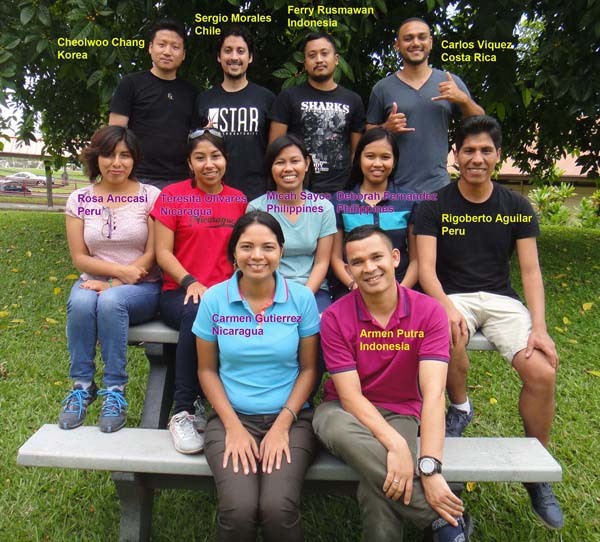 Participants this year came from Korea, Chile, Indonesia, Costa Rica, Peru, Nicaragua, Philippines, and China. 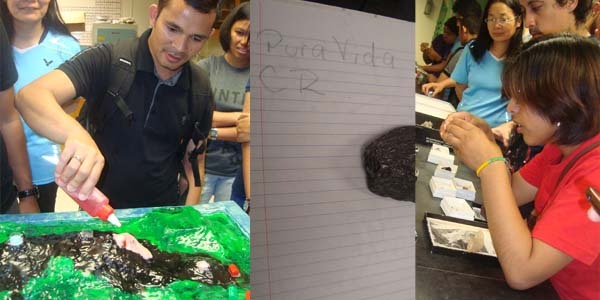 Participants learned about Public Outreach: Left, Armen Putra (Indonesia) makes a model volcano erupt. Right: Hu Yaxuan (China), Sergio Morales (Chile), and Rosa Anccasi (Peru) examine minerals. Center: Carlos Viquez used graphite to sign our Autograph Book. 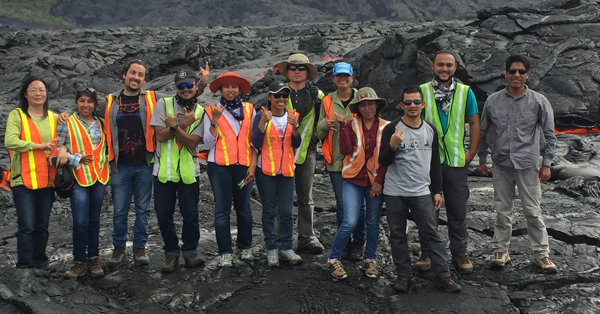 The International participants hiked out to the lava flow on the 4th of July. 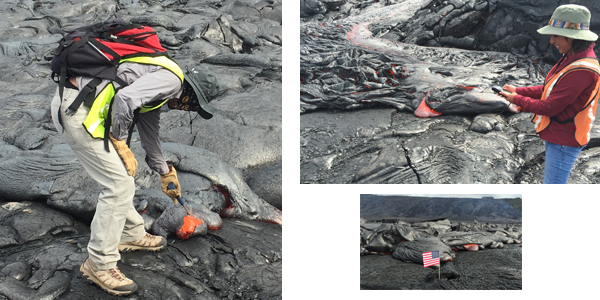 At left, Rigoberto Aguilar collects a sample; at right, Rosa Anccasi records a waypoint for USGS-HVO at the terminus of the flow; lower right, the USA flag enjoys Hawaiian fireworks. The group posed for a photograph at the terminus of the flow front.